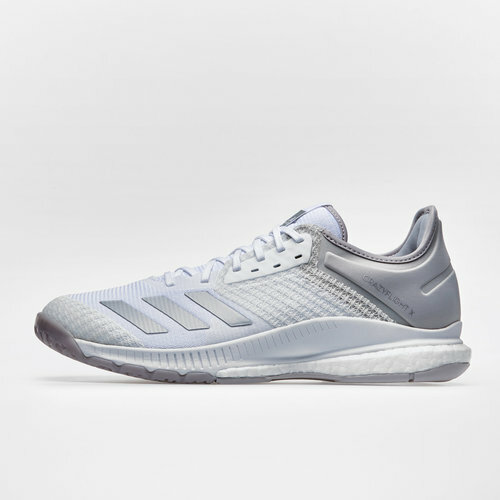 Filling you with energy and taking performance to the next level with these adidas Crazyflight X Netball Trainers which come in an impressive White, Silver Metallic and Grey Two colourway. These women's trainers have been designed with the ever impressive Boost technology which is comfortable and supportive whilst providing return on the energy given. Another impressive feature includes the SprintSkin upper which revolutionises the weight and support provided by footwear. The sole plate offers a firm and grippy surface for all of your training needs, ADITUFF also ensures a highly abrasive and impact resistant toe box.